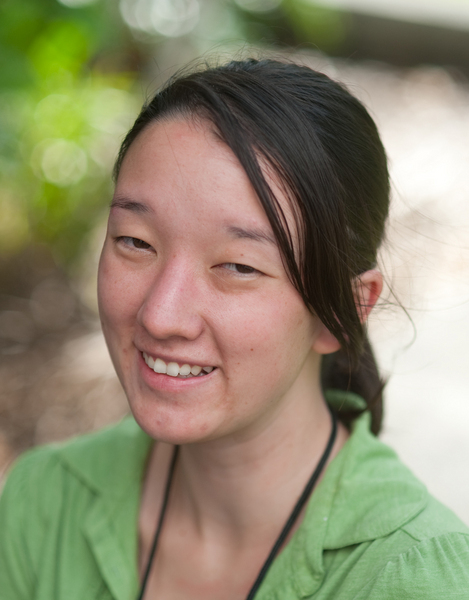 Dorothy Fukushima was born and raised in Pahoa on the Big Island. She will be a senior this fall, pursuing a Bachelor of Science degree in Astronomy at the University of Hawai‘i at Hilo. She plans to attend graduate school in astronomy upon completion of her degree. Her hobbies include reading, writing, and exercising. How often should one’s home get cleaned for dust: once a day, once a week, or once a month? The W.M. Keck Observatory’s own domes are no exception to this common question. Without knowing the dust levels, Keck has historically cleaned its mirrors and instruments of dust once a month. Although this is a widely accepted and utilized method, my project was undertaken to determine if a better cleaning procedure could be found. If, for example, there were a particularly dusty period immediately after the monthly cleaning, the dust would sit on the mirrors for an entire month. The dust particles would have a greater chance of bonding to the mirror, damaging the coating and degrading the quality of observations. In order to assess the effectiveness of the current cleaning method, Keck used the Aerocet 531 — a user-friendly handheld dust monitor that can run for two and a half days, allowing for easy collection of dust particles. The monitor records dust concentration as a function of particle size and mass, sampled once per minute. Dust monitors were placed in different locations around the observatory to test the dust levels. The data were then analyzed to see if there were particular times when the dust levels spiked, and why. This method would allow Keck to clean the affected mirrors and instruments as soon as possible following significant dust exposure, to mitigate potential damage to coatings by dust. Observatories around the world were contacted to obtain their methods for ensuring the cleanliness of their mirrors and instruments. The inquiry revealed that most dust-monitoring programs are in the developmental stages; observatories are struggling to determine dome-closure policies and cleaning frequency for dust. This project suggests that Keck should install permanent dust monitors to continuously survey the dust. The telescope optics can be cleaned the morning after a dusty night, and the dome can be closed should a rare extreme-dust event occur.